The NAMM TEC (Technical Excellence and Creativity) committee announced that Leslie Ann Jones, engineer, producer and director of music and scoring for Skywalker Sound, will be inducted into the NAMM TEC Hall of Fame at the 34th Annual NAMM TEC Awards on Jan. 26, in Anaheim, Calif.
Jones joins luminaries Rose Mann Cherney, Skunk Baxter, Hal Blaine, Jack Douglas, Nathan East, Geoff Emerick and others. An induction is the industry’s highest honor for pioneers of audio technology, as well as the music industry’s most accomplished producers and audio technicians. After beginning her career playing in rock bands and running her own live sound company, Jones went on to hold staff positions at ABC Recording Studios (Los Angeles), the Automatt Recording Studios (San Francisco), Capitol Studios (Hollywood) and now at Skywalker Sound, where she continues her career recording and mixing music for records, films, video games and television, as well as producing records — primarily in the classical and jazz genres. From her early years assisting engineers like Barney Perkins, Fred Catero and Roy Halee, Jones quickly became a preeminent engineer, at the helm of sessions for artists including Herbie Hancock, John Mayall, Santana, ConFunkShun, Frankie Beverly and Maze, the Whispers and Bobby McFerrin. Especially trusted for her golden ears and attention to detail, she quickly became high in demand by such exacting artists such as BT, the Kronos Quartet, Rosemary Clooney, Michael Feinstein and others. 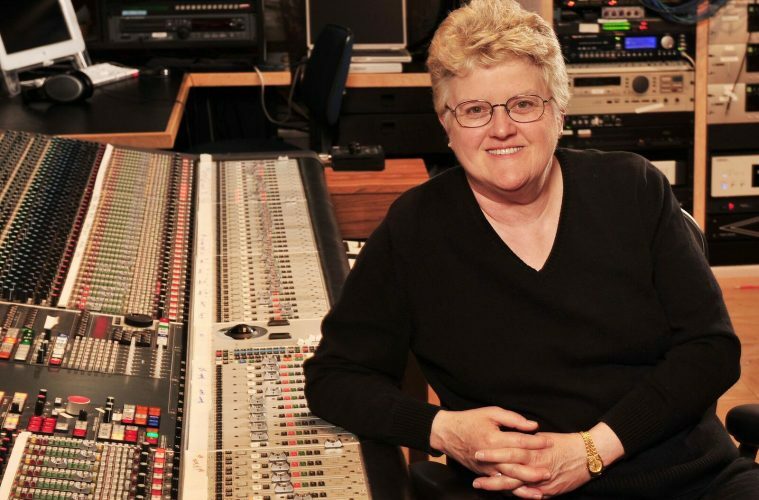 In 2000, she followed Phil Ramone’s tenure to become the first woman ever to chair the Recording Academy Board of Trustees, and she is also the recipient of four Grammy Awards, including two for Best Engineered Album, Classical.